One of my mentors, Don Failla, taught me a valuable lesson that really makes sense to me. In his book, “The 45 Second Presentation” he talks about building skyscrapers. He tells a story that when a contractor is building a skyscraper, it can take up to a year or more, just to build the foundation. However, once the foundation is built, the rest of the skyscraper can get built up pretty quickly. What I want to do in the rest of this post is talk to you about building your FOUNDATION for your MLM Business. Building a strong foundation is vitally important if you want a long-term business. Without a strong foundation, your business will not last. Your ultimate goal is to build a business that pays you residual income for decades to come! As I see it, there are two parts to your foundation: you and your team. I’ll talk about each one below. When it comes to YOU, that’s where you are going to have to do the most amount of work. You’ll have to attend your own personal development school and MLM School. Think about any professional person in any industry and you will quickly discover that they either spent YEARS in college learning their profession, or they spent years as an apprentice/on the job training to master their craft. For example, a doctor might have seven or more years of formal training, plus an internship before they become a doctor. An accountant (CPA) will have four to five years of college before they start earning money. Even plumbers, electricians and other skilled trades typically spend months (or years) before they master their craft. Network marketing is no different than any other profession. You have to learn how to do the job! You have to take the time to develop your skills, so you can be successful in the industry. Some of the basic skills include generating leads, communicating with people, sales, leadership, team building and marketing. You might naturally be good at a few of these things when you begin your business, but most people will need to go through one to two years of training to really master these skills. In addition to your technical skills that you must develop, you must also work on your mindset. This is one of the biggest challenges for most people. If you’ve spent your entire career as an employee, you will need to learn to think like an entrepreneur. The two mindsets are very different and this is a huge obstacle to overcome for most people. As a business owner (in any industry), you get paid for results, not effort! Basically, you need a personal development plan, so you can become the person you need to be, in order to be successful. Once you’ve built yourself up (it’s an ongoing process), the second part of your foundation is building up your team. Your first objective before you start sponsoring people into the business opportunity is to find TWENTY PERSONAL RETAIL CUSTOMERS. Very few leaders teach this, but customers give you instant credibility and profitability. Without customers you don’t have a business! Once you’ve found your twenty customers (should take one to three months) your next goal should be recruit and identify your business builders. These are people who are coachable, have a burning desire to succeed and are actually willing to do some work. They’re people who want to eventually earn a full-time income with network marketing. Each compensation plan will vary slightly, but ideally you want to find and develop about five to fifteen key people on your front line. Your ultimate goal is to have three to five key leaders, and you should be able to identify them from this group of 5-15 serious distributors (or from their downline). In order to sponsor 5-15 serious people, you will probably need to sponsor 50-150 people personally. Your numbers will vary, based upon your sphere of influence and the quality of people you sponsor, but this seems to be about the norm in the industry (about 1 in 30 is a rock star). Once you have these leaders in place (it should take you one to two years) your primary goal is to shift your efforts and HELP THEM develop their customers and key leaders for their team. About 90% of your time in the business during your first year or two should be on personal recruiting (customers and distributors). However, once you have your leaders in place you should shift your efforts and go to work for them (spend 90% of your time helping them)! That is your job as a sponsor, to help the people who want and deserve your help. Once your leaders are in place, the rest of your team will go up pretty quickly. The hardest part of this industry is building your foundation right. However, if you can build yourself up, get your customers in place, and find your key leaders, building the business from then on out should be a breeze! What are your thoughts? What do you think about building a strong foundation for your network marketing business? What are your best tips? Leave a comment below to share your thoughts. I look forward to hearing from you. Building a strong foundation for your business is the only way it will stand and eventually run without much additional effort on your part. You give some really great tips on how to be your own boss. Managing your time well is a must and I find it helps to create a daily routine. With any job there will be certain tasks that you do everyday and there are deadlines and you should create those things for yourself. Being in business means that you make your own schedule not that you do away with it all together. Yes, we all need to build a foundation for success first. If you’ve never owned a business before, you might need to to through a year or two to get your thinking right, so you can be successful. I agree with what you said about the mindset. 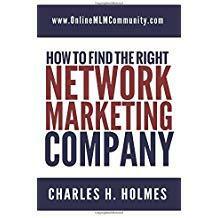 When you have your own network marketing business, you are pretty much what guarantees your success or failure. If you think you’re going to fail, you probably will. But if you want to succeed, and you do everything you can to better yourself and your business, chances are you will succeed. It is up to you. Yes, your mindset plays a critical role in your success. We can be our own greatest asset or worst enemy. The foundation of any structure is what holds it all together. So what holds the foundation together? The cornerstone is the most important part of a foundation. It sits at the lowest corner of the structure. In a network marketing business, you are the cornerstone. If you are weak, the business will be weak, whereas if you are strong, the business will be strong. We always need to get stronger. That is where the difference between us and that cornerstone are. That stone will not change, but we can. We can change for the better or the worse. It is our choice and our actions, or inactions that will make everything erected to satisfaction or not.